It has almost become cliché to mention the benefits rendered by web-based or online invoicing. There has been an ever increasing acceptance of online billing and invoicing as it has proved to be the best fit for most business frameworks. Not to mention the staggering amount of time, money and resources saved by implementing it. Our future developments have a clear focus on making it simpler for businesses and professionals across the globe to make it even simpler to use online invoicing. Therefore, we are constantly on a look out for new features and adapting those elements that would work for the entire community using online billing and invoicing. Incorporating the feature to upload your signature on invoices and quotations is a step in that direction. Option to upload your signature has been introduced as a new feature in this round of update. You would now be able to upload the image of your signature on invoices and estimates and it would display on PDF and while taking the print of invoices/quotations (in case invoices are send using snail mail). We believe this would benefit many users as this would increase the authenticity, professionalism and trust with customers. 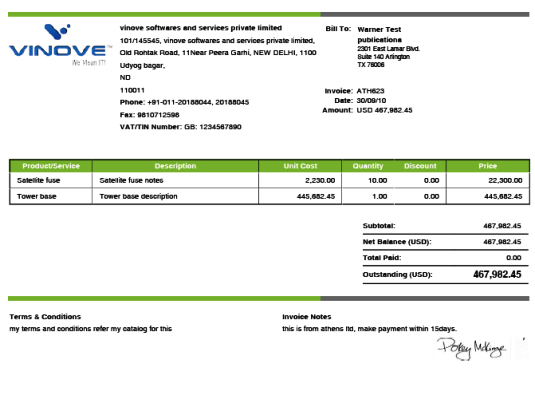 Also a signed invoice has proven to be the most effective way to guarantee integrity and authenticity of an invoice. So next time when you send the invoice PDF to your client do not forget to sign it. 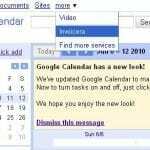 Previous postWhat’s New at Invoicera? 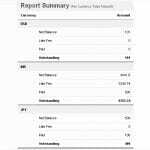 Look Out for the Reports Summary Section!